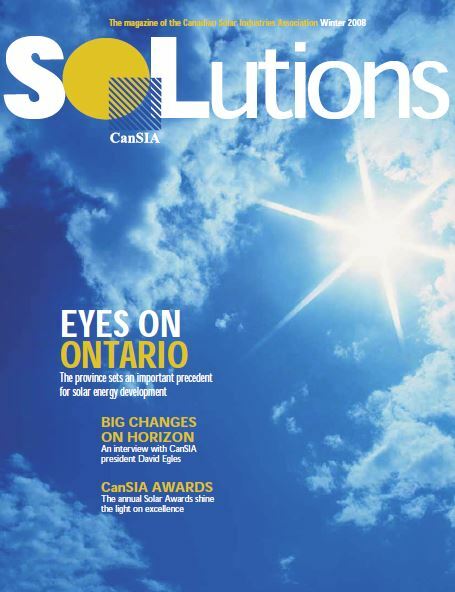 Stay connected with CanSIA! 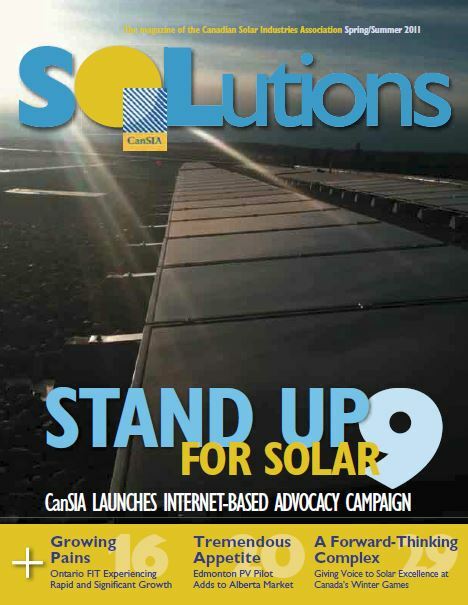 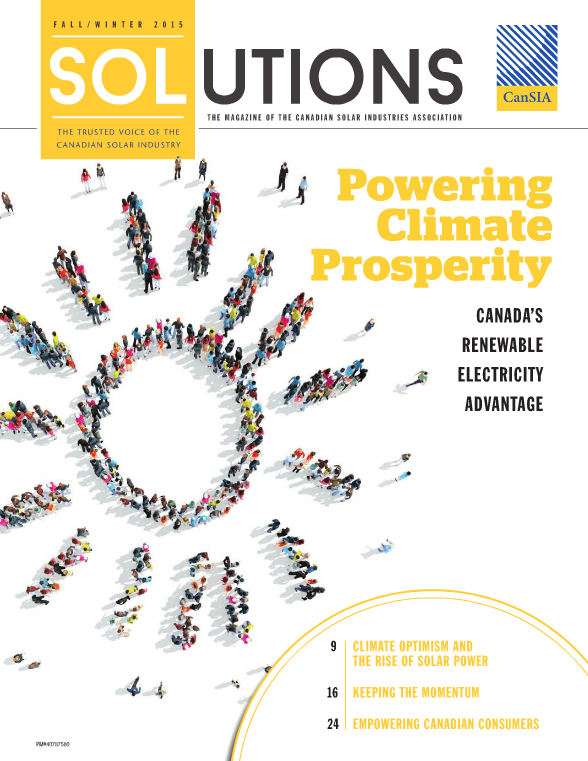 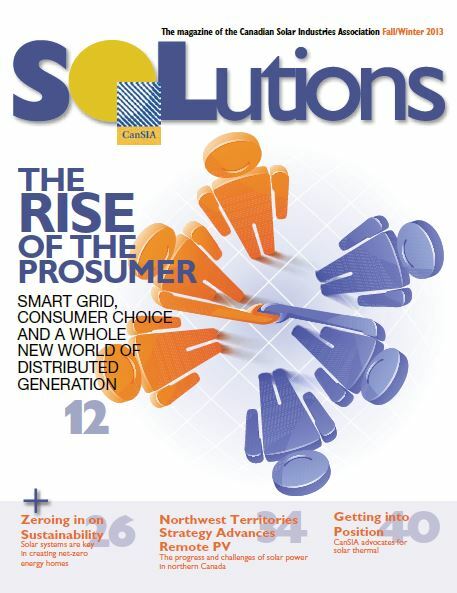 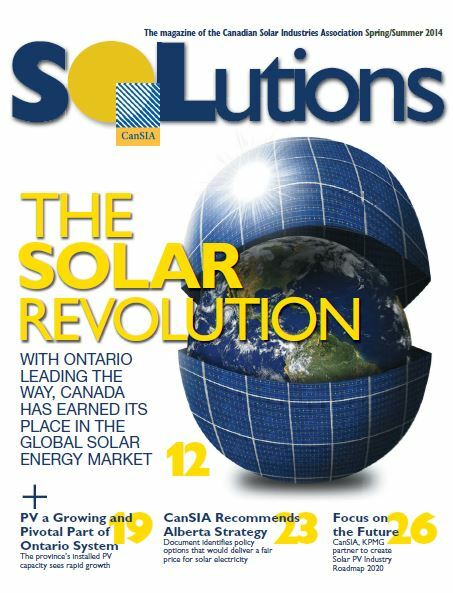 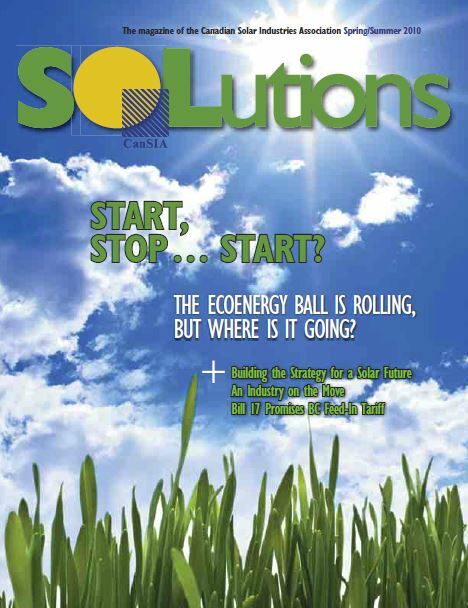 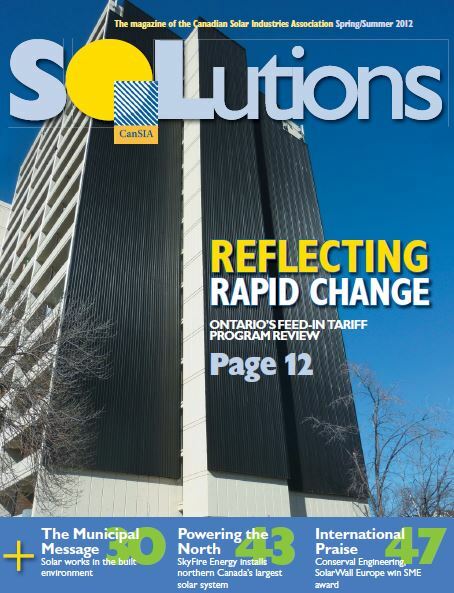 Sign-up for our mailing list to receive Solar Industry Updates including SOLutions Magazine and Solar Beat E-Newsletter. 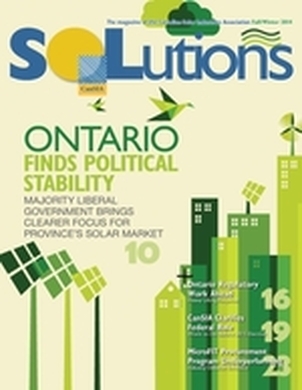 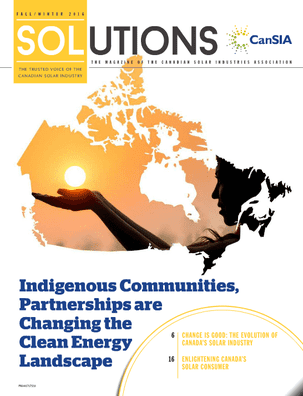 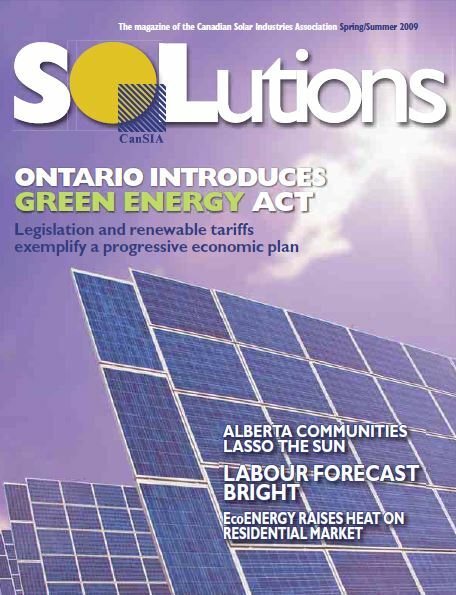 SOLutions digs deeper into key issues on the political and regulatory scene, and is clearly focused on the future of the solar industry. 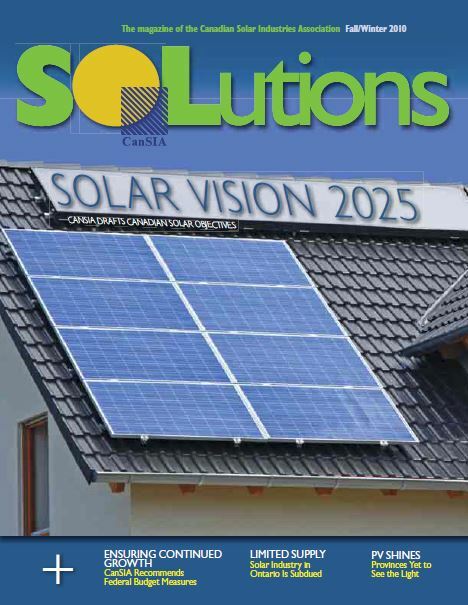 From vision to value, SOLutions engages high-level stakeholders and industry insiders in the solar industry conversations that need to happen. 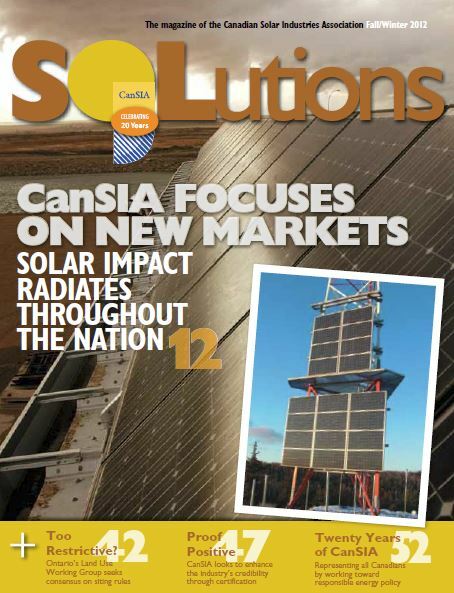 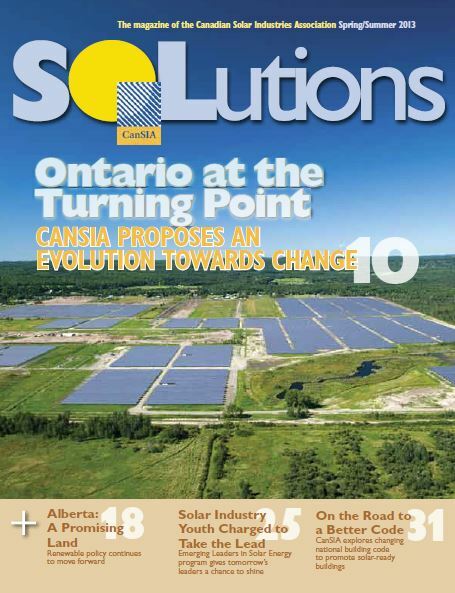 Advertising opportunities are available in CanSIA's 2018 SOLutions magazine. 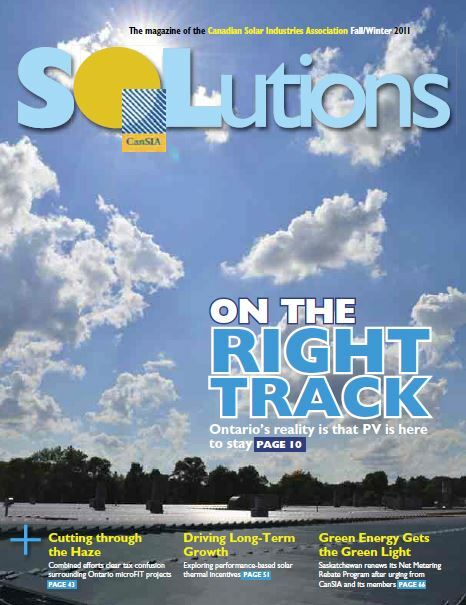 As an advertiser, you are able to target companies, organizations and individuals across Canada that are involved in solar thermal and photovoltaics (PV) technologies. 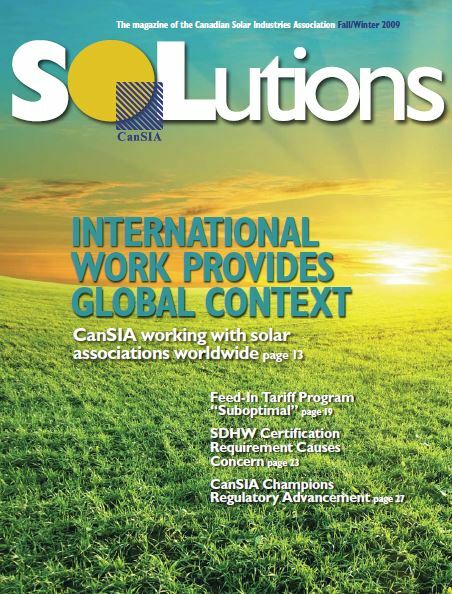 These resources will be used extensively throughout the year by CanSIA members to stay informed of association information and as comprehensive buyers' guides for the products and services they use most often.